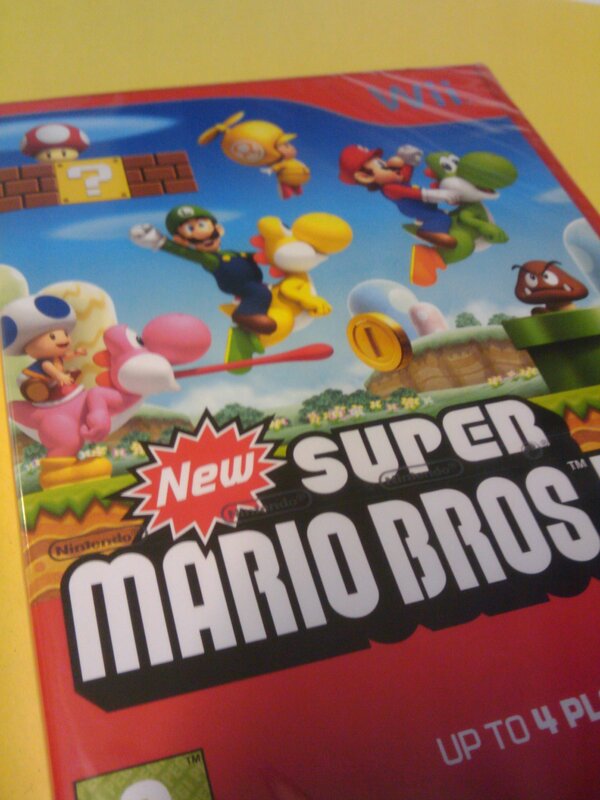 New Super Mario Bros Wii…for kids? Mario has arrived. The sole reason I decided to repurchase a Wii, ok maybe not the sole reason. News of a black Wii arriving in europe spread and I wanted to find an excuse to get the dark console. I was a BIG fan of New Super Mario Bros on the DS, countless hours spent re-running the levels to get those 3 big coins hidden in corners unreachable at first glance. So the console has just sat there, dust gathering on the once shiny piano black plastic, awaiting the arrival of this no doubt christmas best seller.